I am so excited to share this interview with you today. I found Jennie whilst down an Instagram rabbit hole and instantly fell in love with her whimsical Italian pictures. 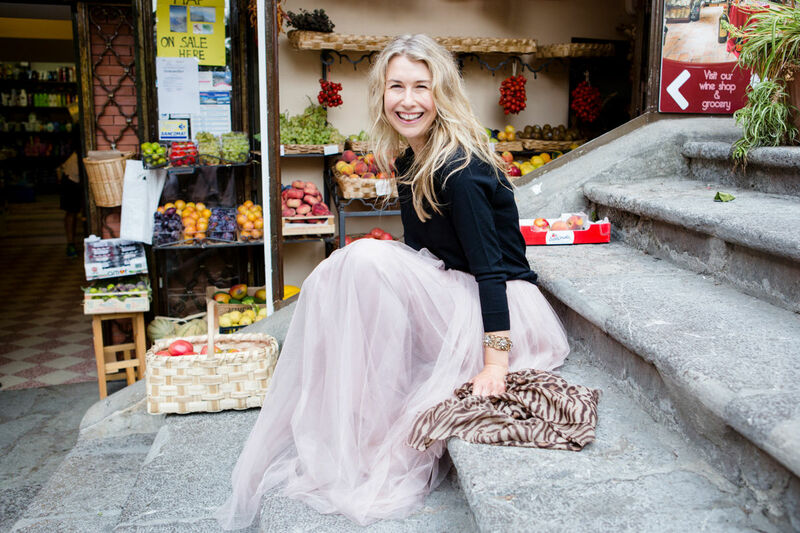 But what I didn’t know was that she was in the process of launching the most dreamy business – combining her love of Italy and cashmere into a very beautiful product. In the past twelve months or so I have loved following her journey and seeing her business flourish. I had the pleasure of being able to meet Jennie in person and hear her business story at Big Small Business. She has made it look very easy, although it is clear how much thought, hard work and attention has gone in to every detail of Lois Avery. Read on to find out more – I think you are going to love both Jennie and her business. Tell us about Lois Avery? 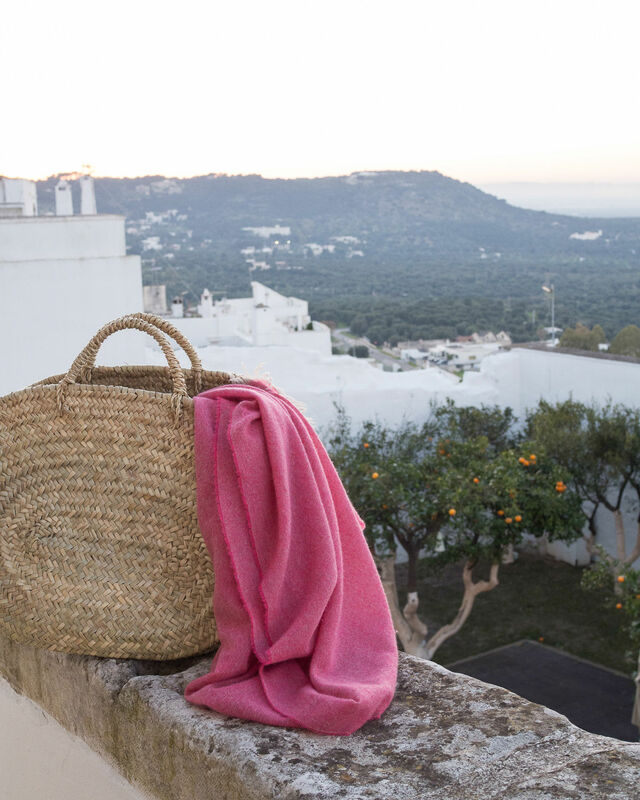 Lois Avery is a brand of dreamy Italian cashmere shawls. The entire collection is made in Italy from some of the finest cashmere in the world. 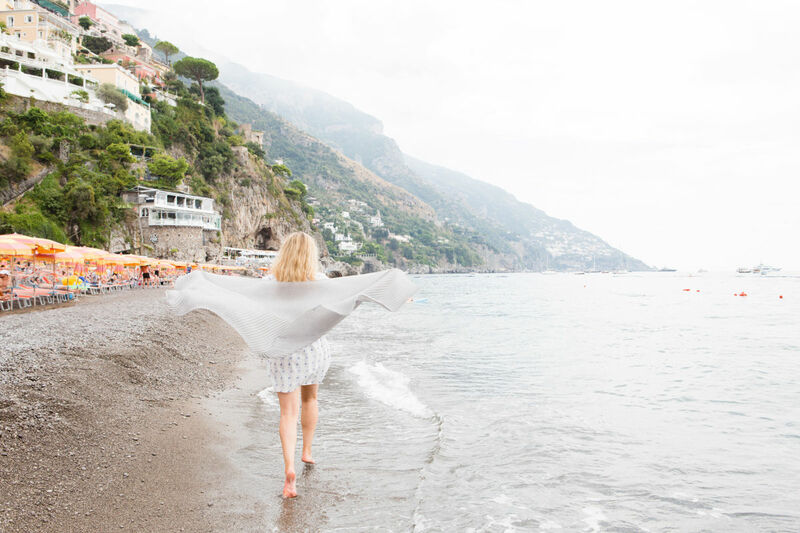 Our cashmere is a beautiful and simple product that elevates travelling we do every day to work, school, or the coffee shop and the travelling we do to more exotic far flung destinations – it’s the ultimate luxury comfort blanket. The name is a combination of my Grandmother’s and my daughter’s names, and I just love the sound of it. My Grandmother was Margaret Lois and my daughter’s middle name is Avery. The idea comes from many, many, years of dreaming of a happier career. I’d always loved travel, particularly Italy, but with three young children a career in travel was never going to work. My other great love has always been fashion, and connecting with kind and intelligent women in fashion was eye opening. I hadn’t realised how these two loves were entwined until I reviewed some old photo albums and realised that every holiday I’ve been on has been characterised by a signature scarf! Over time these ideas came together as Lois Avery. What were you doing before hand? In my old life, I was a construction and engineering lawyer working in the City of London. What made you want to take a career change/ set up your own business? I was never happy working as a lawyer. It was something that I fell into because I couldn’t think of a better alternative … until that is the idea of Lois Avery crystallised. I was inspired by brave and bold women that I know setting up their own businesses. To see Laura Turner set up the beautiful boutique Hero, in Stockbridge and Maleeka Robb and her business partners set up the spectacular hair salon, Four, in Mayfair gave me real impetus. The way in which they executed their business dreams inspired me – every detail was true to their values. I finally thought “I can do this”! How did you take the plunge? The idea of Lois Avery in its current form came to me in October 2015. I gave myself one year to launch, and I set about learning as much as I could in that time, including attending courses at The London College of Fashion and reading lots of books. Were your family and friends on board? If not, how did you bring them round? There are a lot of challenges! Juggling my working life and my family life remains a challenge. It’s wonderful to be able to work flexibly, and take my children to school, but the price of flexibility can be that you are always working, whether that be evenings or weekends. Learning about the workings of textile production has been a huge learning curve. I made a lot of mistakes in the beginning, because I had no knowledge of the industry. One of my biggest mistakes was not appreciating that 25 metres of cashmere was actually 50 units. So when I received the invoice it was double what I had budgeted for – I have not made that mistake again! But I think that mistakes are part of the process, and that’s how you learn. The volume of positive customer feedback has been amazing. The wonderful thing about being a small brand is that people really connect with you. I’ve been overwhelmed by the number of people who have taken the time to send beautiful emails telling me how much they love their cashmere, or how well received their gift of our cashmere was. I’m not sure that there is such a thing as a normal day in the world of Lois Avery, well not recently anyway. 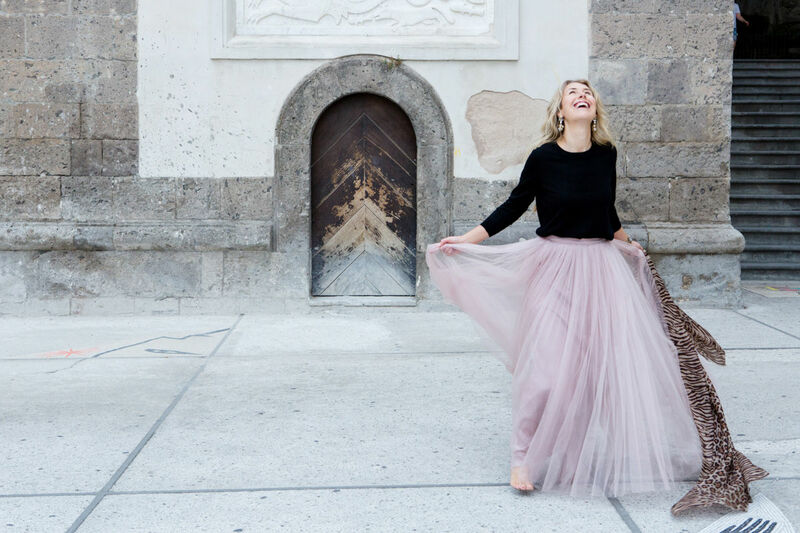 In the last six weeks I’ve been to Italy twice, hosted a press dinner, launched our new Spring colours, refreshed the website, spoken at my first conference (Big Small Business), and held our first stand alone Pop Up! What is clear is that my working day is so different from that of my corporate life– as a start up I have to wear a lot of different hats! The Finance Director, Chief Stylist, Marketing Director and Creative Director are all me. Dealing with orders is key of course, but there is lots more to be done. One day I might be in a studio in North London styling a product shoot for our cashmere shawls and the next meeting with suppliers in their mills in Italy to discuss developing new products. On a personal level I get to take my children to school most days and pick them up, and that is a huge bonus of this new life. I’m a people person so connecting with others is such a wonderful thing. 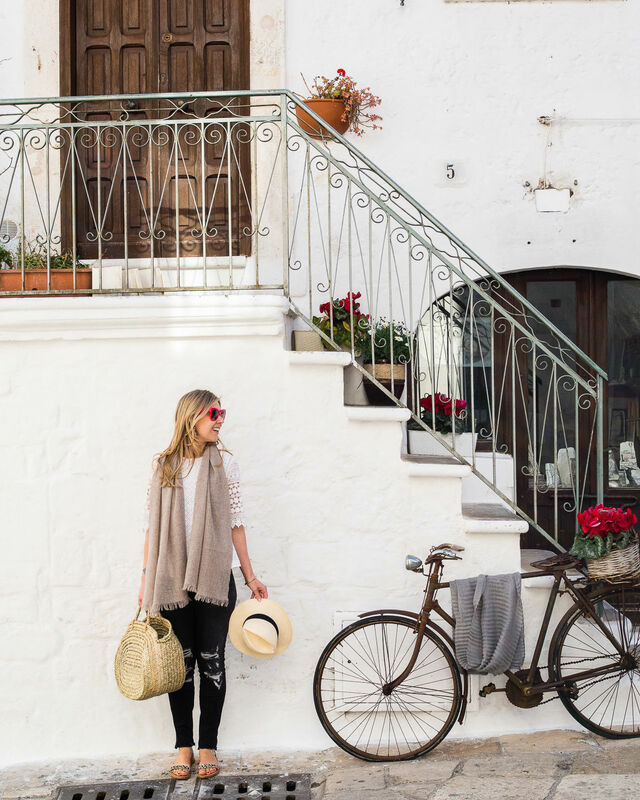 I love people contacting me to tell me how much they love their cashmere, to seek general fashion advice, ask which shawl to buy (I’ve discussed hair colour in depth over email), or where they should go on holiday in Italy. I love all of these questions, and it’s such a privilege that people value my opinion. Do you have any future plans for Lois Avery? I think that strategic wholesaling is key to our future and visibility, so right now it’s all about wholesaling for AW17. Do you have any tips for my readers who are thinking of setting up their own business? Start building your community as this will form the basis of any viable business. It’s so easy to connect with people through social media these days. It’s never too early to start building relationships with potential customers, mentors, and peers. What are your favourite flowers? Roses. A dusty pink rose melts my heart every time and reminds me of my wedding bouquet. Favourite thing to do on a Sunday? Tea in bed with my husband. I bought my first teapot around a year ago and I swear that it has changed our lives! We take it in turns to make tea and our three children usually join us. It’s bliss! Favourite travel destination? Italy obviously! But where? I change my mind on this most days because there are so many special spots to choose from, but if you pressed me, I would say somewhere with cliffs and water. 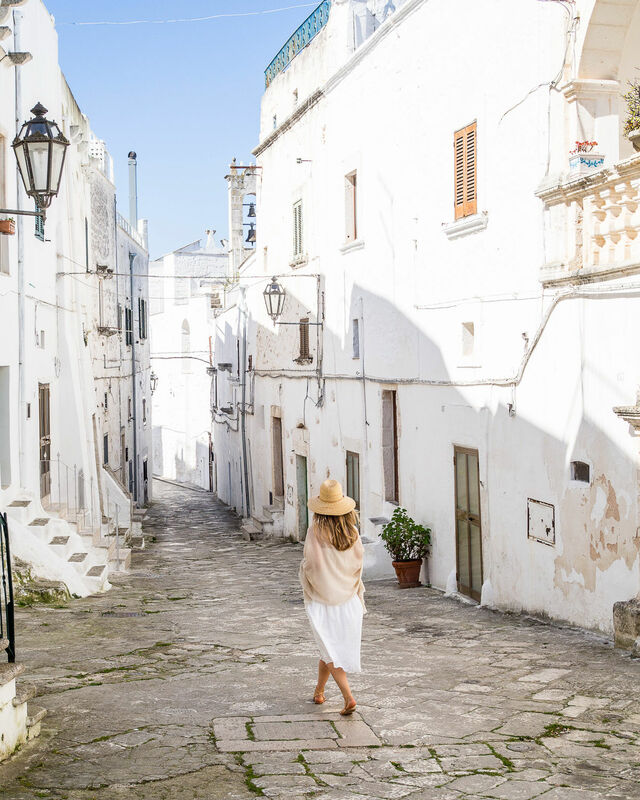 I have very happy memories of Ponza, Stromboli, and Tropea. Favourite way to relax? I am a fan of the long alfresco lunch. Great food, wine, and company is definitely my favourite way to relax. Favourite blog or Instagram account? There are so many! 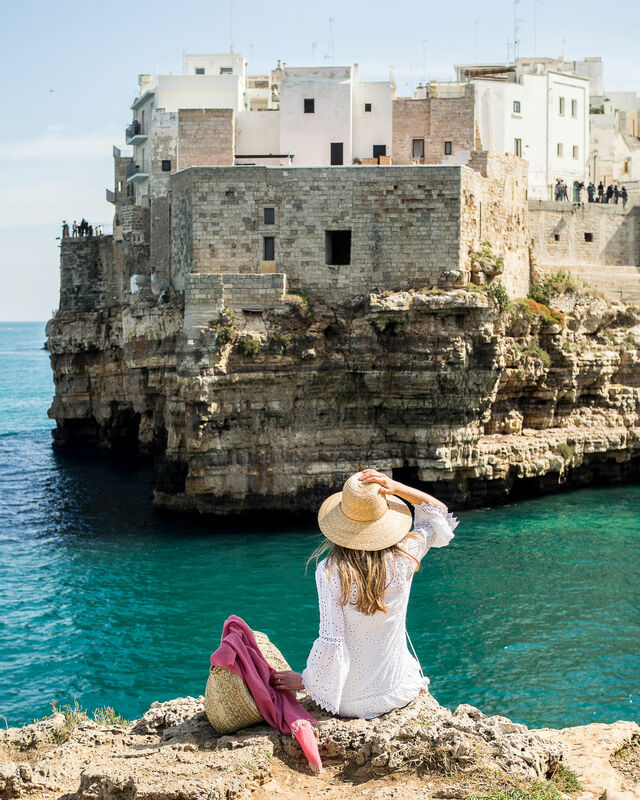 I’m always looking for Italian daydreams, so right now I love the Instagram accounts of @italyonmymind and @masseriamoroseta for food and travel inspiration. 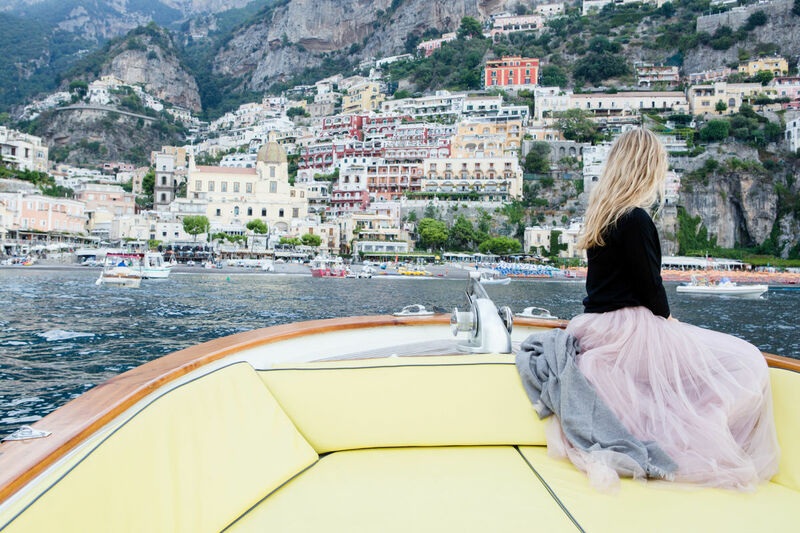 My all time favourite account is probably @lucylaucht – I love Lucy’s style and her dreamy travel photography. Which is your favourite Lois Avery item? This is like being asked to choose between my children! I think that the Pleat in Noir is the most elegant, the Classic in Slate the most useful, and I am wearing the Italian Days in Prosecco to a very special birthday lunch in Sicily next month. Are you as hooked as I am now? 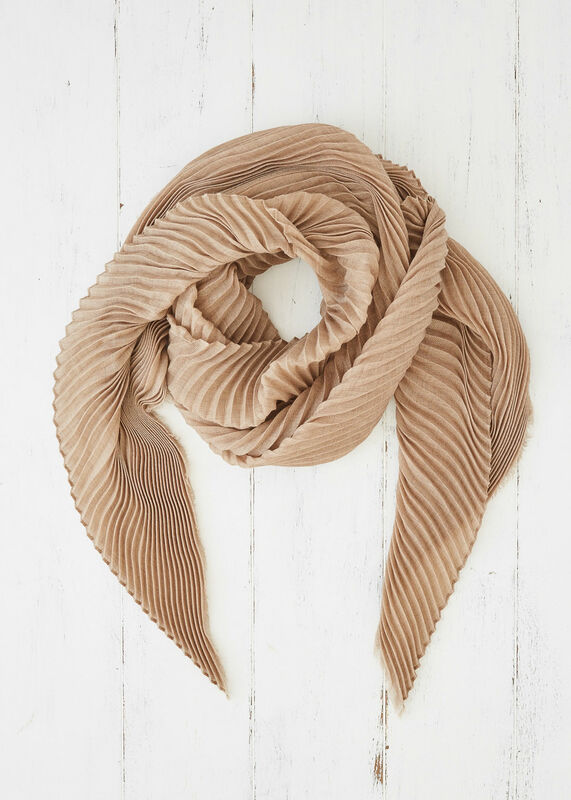 Have a look at Jennie’s beautiful cashmere shawls and newly relaunched website here. They make the most delightful gift to others or yourself! You can also keep up with her on Instagram @loisavery, and I encourage you to do so as her images are dreamy! Or follow Lois Avery on Facebook, Pinterest and Twitter. Thank you to Jennie, Marlene Lee, Carla Coulson and Yeshen Venema for the beautiful photography. Let me know what you think in the comments below. I would love to hear your thoughts! Have you thought about setting up your own business? Feel inspired to reinvigorate your career? I know you all love reading about these inspirational women so I am going to be bringing you a career profile on the first weekend of every month. I already have some brilliant ones lined up and I can’t wait to share them. Stay tuned for next month. And finally, If you don’t want to miss a post, you can now sign up to my newsletter (using the sign up form on the right hand column) and get the latest post direct to your inbox. And as an extra thank you, I have created an exclusive guide for my subscribers: 8 interior stylist tricks you can use in your own home. Be the first to get your hands on it!